Hi everyone! I am so glad you found me today! AC Bailey is having a blog hop for NSD and guess what? 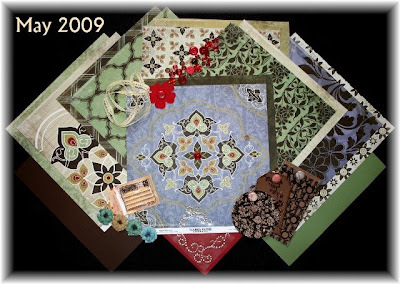 You can win some "scrappy stuff" just by hopping from blog to blog. So come hop with us! I used the scallop, threading water and apron lace border punches. I find I use these more and more. Here's the link to the punches. http://www.acbaileydesigns.net/category_s/51.htm Decide on what paper you want to punch your borders from and punch away. I did three and layered them with the Sassafras Lass. Ink them all up so they will POP off the page. Start layering them - you could even add some ribbon or trim for demension. Doesn't it look GREAT!!! I LOVE my threading water punch and WILL be using it! I love how you layered all the punched paper! the threading water punch is one of my favs. thanks for the lesson on how to use it on a layout. My Fiskars border punches are some of my favorite tools. I love Threading Water and my newest favorite I have recently addes to my collection is Apron Lace. I love how you layered all your punches. I want the threading water punch way cool. And where did you get the punch that looks like notebook paper?? That's neat! Fun! I love the look of this technique......I'm gonna have to get me some punches sooner than later. love those punches! thanks connie! That is so pretty--I'm going to try it tonight! I love the treading water punch, and I love to layer, I never thought of doing something like that though, looks like alot of work, but really isn't bad. I love Fiskars punches. Thanks for the idea. what a wonderful idea! and I love the look it gives to the layout. I love your layout! I can tell I've been looking at these punches but now I know I'll have to have some. 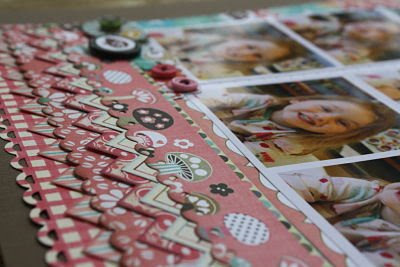 I never thought of using different punches or even scissors on the same layout! Great idea! Thanks. What a beautiful LO!!! I love how you use the border punches!! When I saw that you were giving this technique I was so excited and now that I visited, I am thrilled with the ideas! I love punches and Threading Water is my fav - Thanks so much for showing me what it and the others can do! I Love this technique..Look like so much fun. Love what you did with the punches!!!! The layering is perfect! I use mine all the time!! I haven't tried this technique...but I will. Thanks for the tutorial-Great Job!! 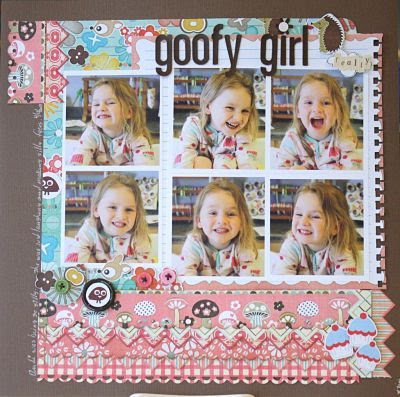 I love the look of layering those punched borders. Thanks for sharing! That is a great idea Connie! I'm definitely trying that! Love the Apron Lace punch. I love what you did with the paper and punches. Great idea. Thanks for sharing. I just got the threading water punch...thanks for the ideas! !